Kindly note that Alley Bar only takes reservations of 4 people and above on Friday nights. 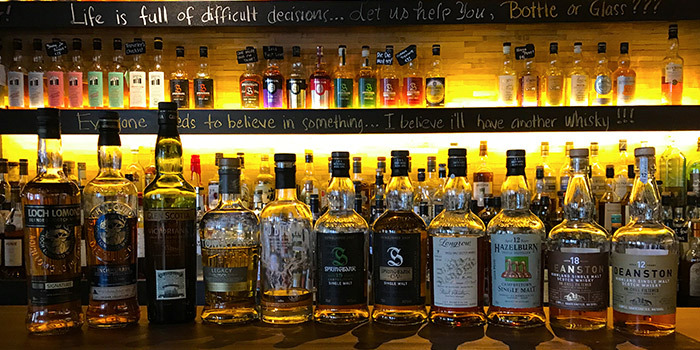 If the cacophony of Clarke Quay on a Friday night isn’t your thing, then this bar is right up your alley. One of Orchard’s best-kept secrets, this cosy spot is tucked in a snug passageway, far from the maddening crowds of weekend revellers. The interior seamlessly blends vintage Peranakan charm with modern interior design, and features gorgeous wood furniture paired with elegant leather upholstery. The menu here is just as charming as the decor. One of their best-selling dishes - Crispy Buttermilk Chicken with Waffle is a tasteful burst of sweetness and savoury. 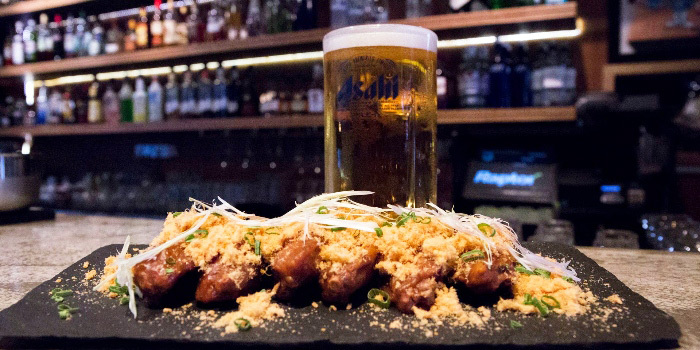 Inspired by local hawker favourites, the signature Ha Cheong Kai Mid Wings boast the perfect combination of crispy, crunchy skin and soft, tender flesh with the perfect marination of shrimp paste. Kindly note that Alley Bar only takes reservations of 4 people and above on Friday nights. 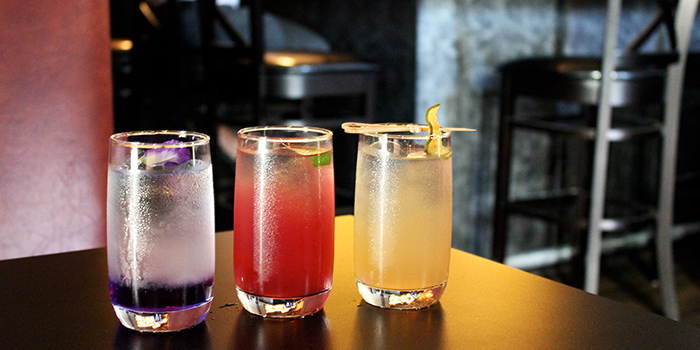 For walk-in basis, you are advised to arrive early to enjoy Happy Hour. Please note that all members of the reservation party has to arrive to be seated.